Only 4 left in stock - order soon. Ships from and sold by EuroHomeDesignz. Count down the days before Christmas! 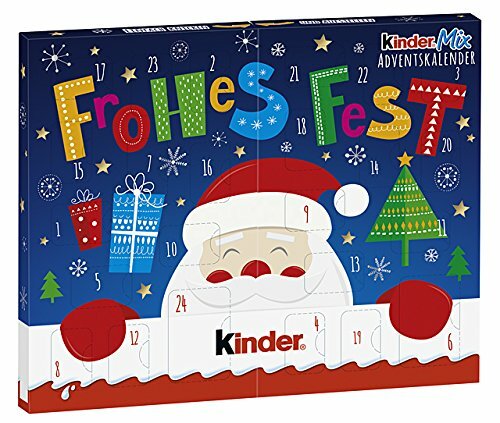 This perfect Christmas gift is filled with 2 Kinder hollow figures, and mini kinder country, kinder bueno, and kinder chocolate. Ships from and sold by EuroHomeDesignz. Ships from and sold by The Yummy Palette-Shipping from The United Kingdom. Count down the days before Christmas! 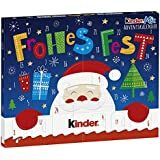 This perfect Christmas gift is filled with 2 Kinder hollow figures, and mini kinder country, kinder bueno, and kinder chocolate. Product of Germany. 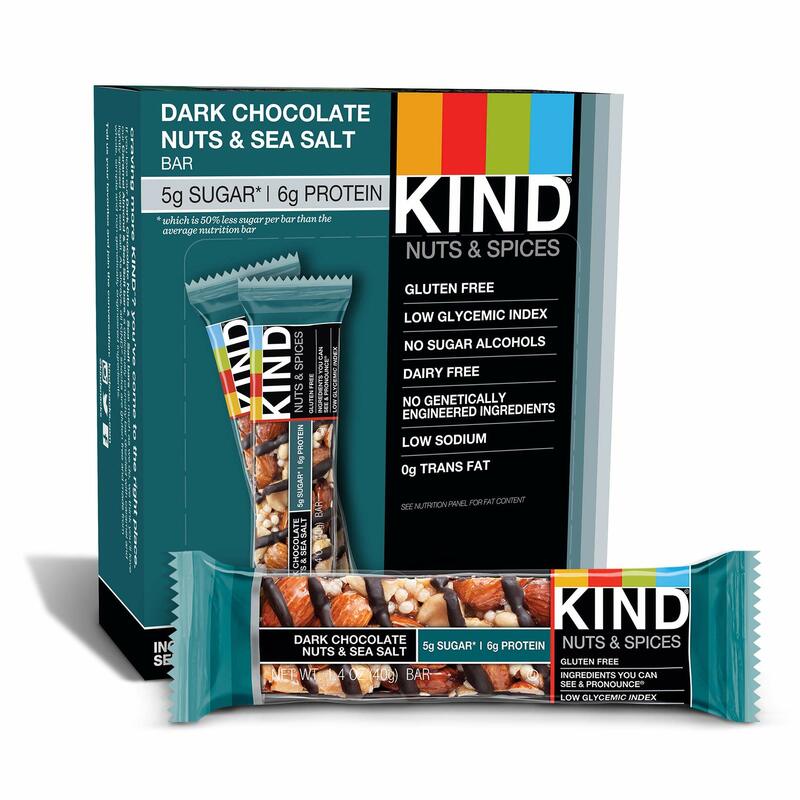 4.0 out of 5 starsUnsure that this product is nut-free. It is peanut free. 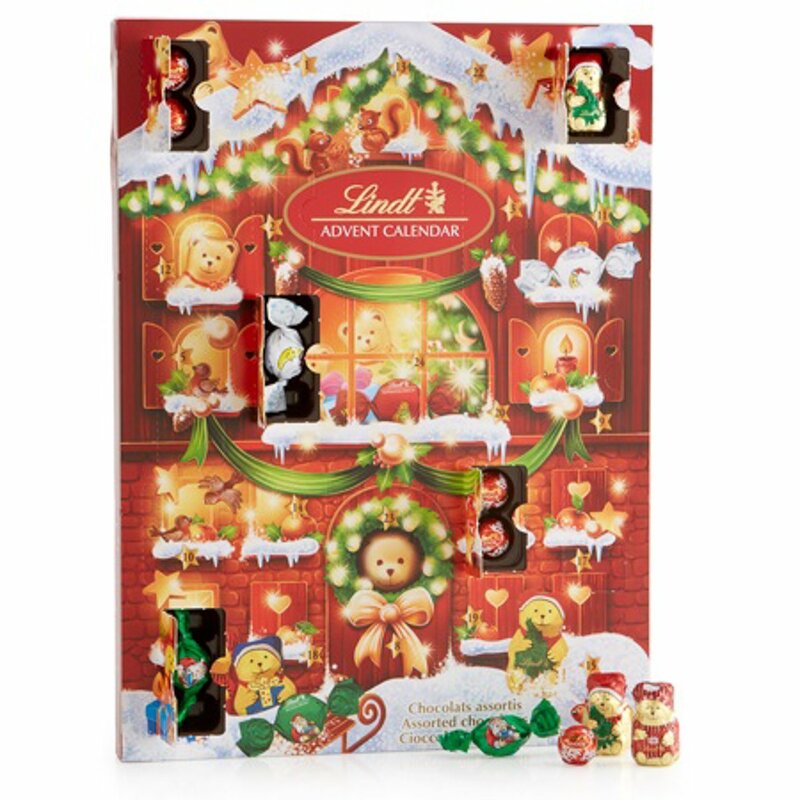 It's a simple advent calendar with cute foiled chocolates inside. I bought this thinking the chocolate quality will be a little higher. Although I thought I did my research, I am no longer sure that this product is 'nut-free'. I did write to the manufacturer asking about allergy information and am awaiting a reply. 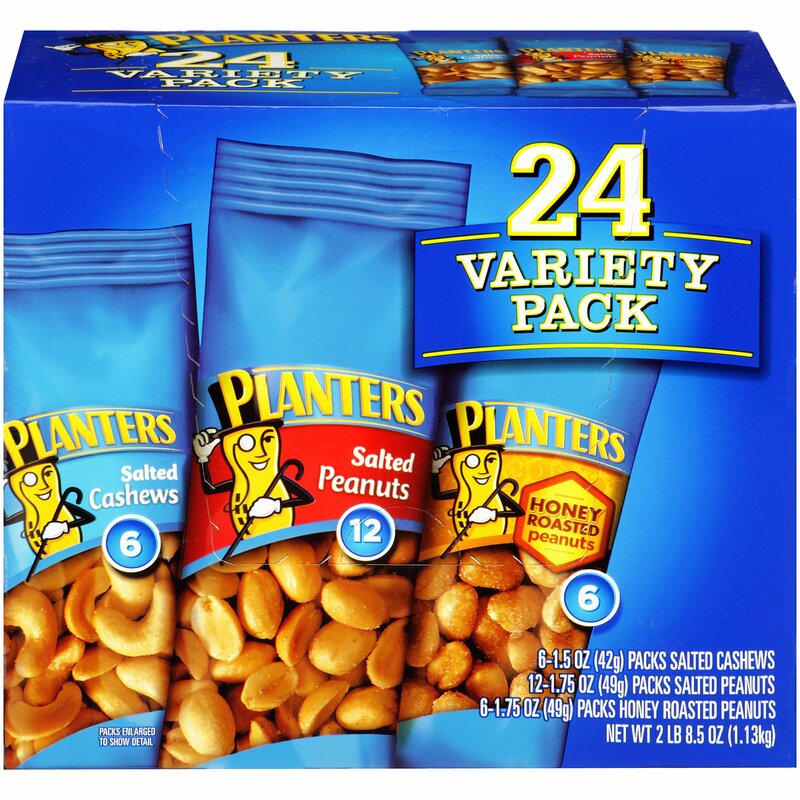 We have one child w a peanut allergy and I avoid peanuts in the house. My daughter who isn't allergic to peanuts said that today's chocolate (Dec 3) had a peanut butter filling in it. 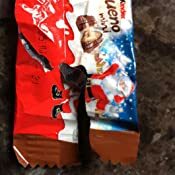 Photo of wrapper sure shows a bite sized piece of chocolate that appears to have some kind of filling. 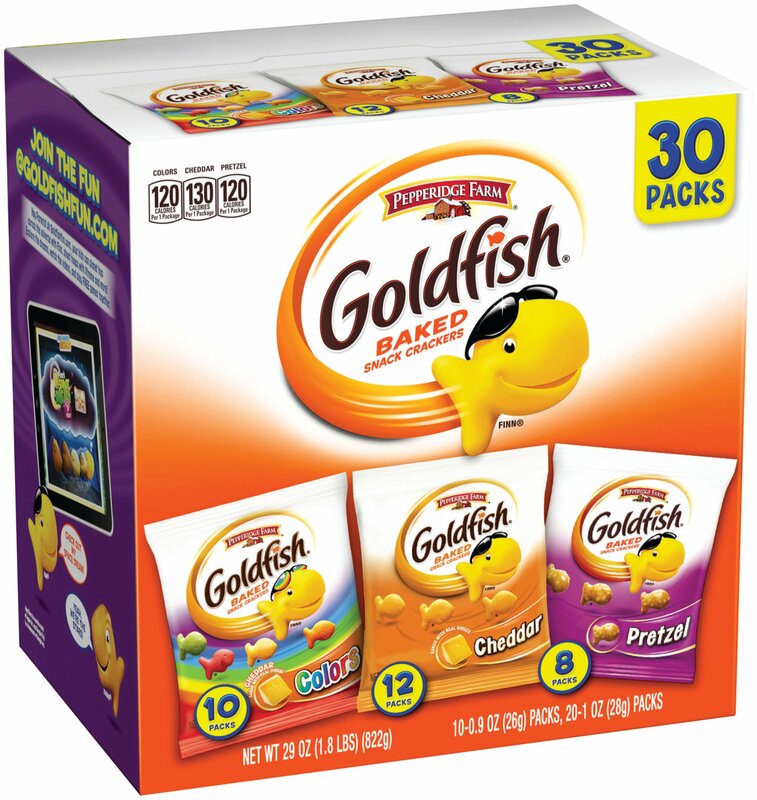 There is no labeling on the box, wrapper, or online that reveals allergens. I did get a quick response from the manufacturer. They explained how this product does not contain peanuts. I did request an ingredient list. 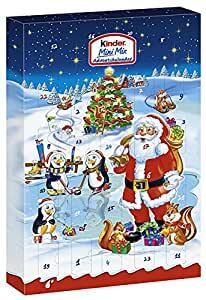 I still buy Advent calendars for my kids even though they are now 15 and 21 yrs old. 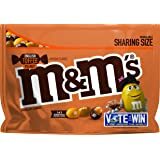 They fought over who would get the chocolate every day. They were delicious. 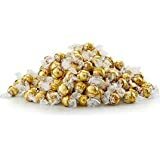 The only thing that was a little dicy was some of them have hazelnuts and my son has an allergy to tree nuts. The ingredients are hard to understand. Would buy again, only this time I would buy two. 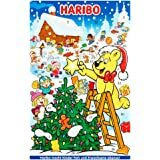 5.0 out of 5 starsBest advent calendars available! 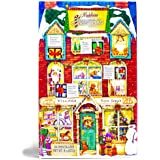 Advent Calendars are a holiday tradition in our family and these are the very best! Even though our "kids" are now in their 20's they look forward to receiving these every year! 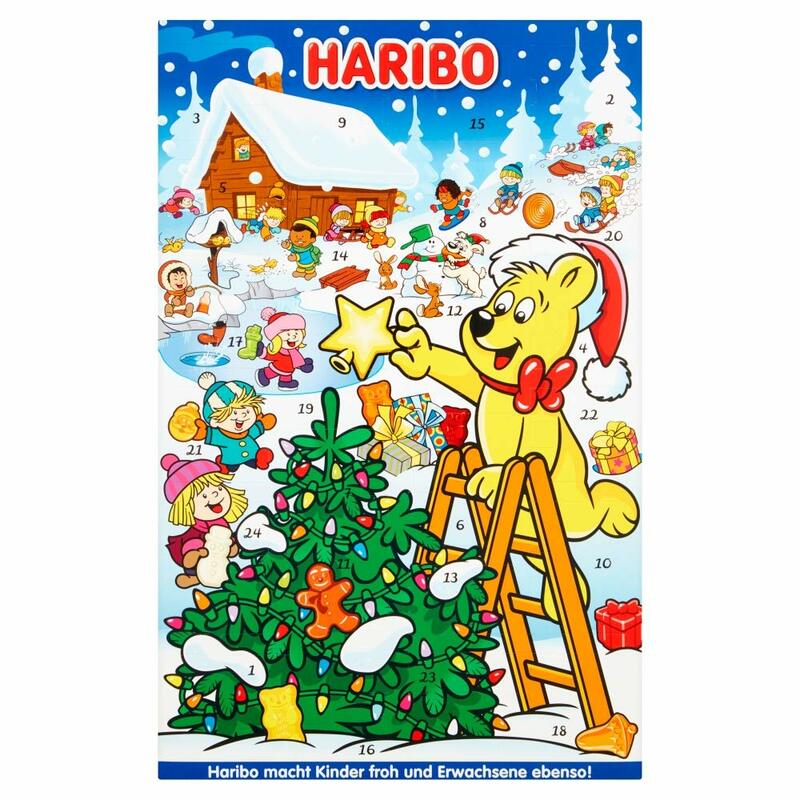 This is one of the best advent calendars yet I have purchased. The candy of course is delicious and the overall look I love. Definitely will buy this next year. 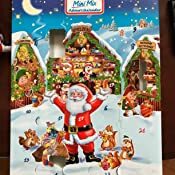 My son has autism and doesn’t care for ordinary advent chocolates. 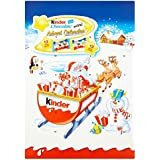 He LOOOOOOVES kinder chocolates and this advent calendar was a hit!! It’s expensive but worth every penny!!! Fun chocolate. 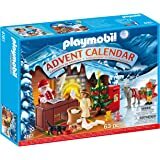 A little expensive, but it came from Germany, so I guess it's ok.
Ok, this is way too much money for an advent calendar, but if you like kinder chocolate, that’s the one for you. My son did not like as much as others, but that meant more for me!! 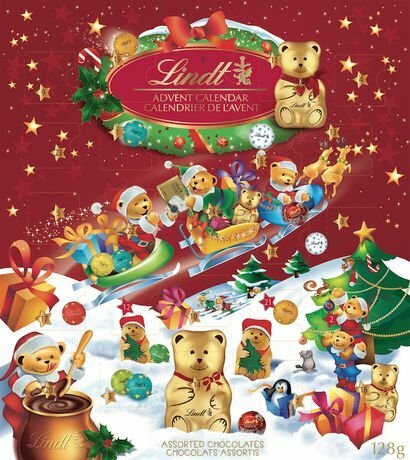 If you ever needed an excuse to eat chocolate every day this advent calendar gives you one. 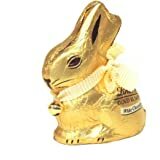 It has a few different types of chocolates but mainly just has their standards. 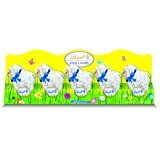 They were all delicious but it would have been great if they threw in one limited edition or special type of chocolate.